Heat grill or grill pan to high. Coat the surface of the grill with oil or spray to avoid sticking. 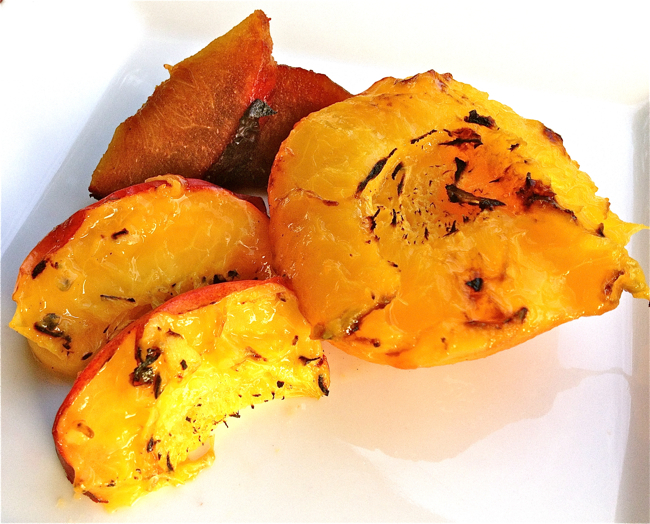 Place fruits cut side down on grill and cook 3 to 4 minutes until warmed through and evenly marked. Heat the remaining ingredients (for the glaze) in small pot over medium-high heat or place on grill next to fruit. When the sauce reduces, it will become syrup-like in no time - less than a minute. 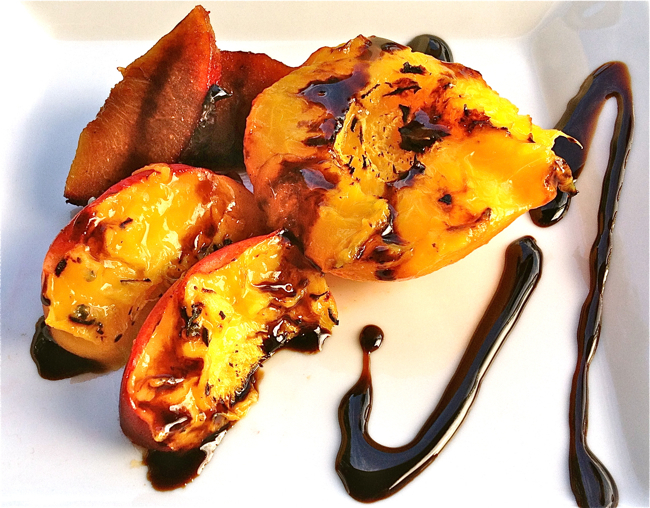 When the balsamic sauce coats the back of a spoon and reduces by half, remove the pan from the heat. 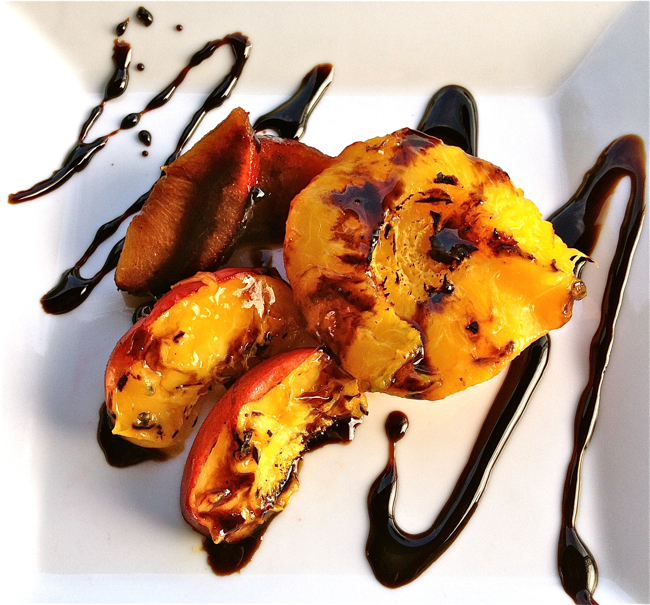 Arrange fruits on a platter and drizzle liberally with the glaze.